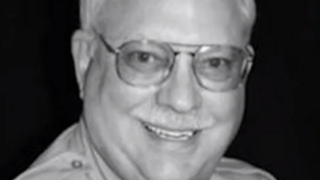 Robert Bates, the Oklahoma reserve deputy who fatally shot Eric Harris while Harris was detained, has been charged with second-degree manslaughter, CNN reports. Video footage of the incident has been released that shows how Bates used a gun instead of his Taser to shoot Harris, who later died as a result of the gunshot wound to his back. “Oh, I shot him, I’m sorry,” 73-year-old Bates said after shooting Harris, who was lying facedown on the ground. Bates is a “reserve deputy”—a volunteer position that some believe does not require enough experience for participation in the kind of undercover sting operation that targeted Harris. Harris was selling illegal firearms to an undercover agent when he was detained. Bates works full time as the CEO of an insurance company. The Harris family said that Bates’ inexperience played a large role in why Harris is dead. “It’s absolutely mind-boggling that you have a wealthy businessman who’s been essentially deputized to go play like he’s some outlaw, like he’s just cleaning up the streets,” Daniel Smolen, an attorney for the Harris family, said to CNN. Harris’ family thinks that Bates’ bankrolling of the Tulsa County Sheriff’s Office is what landed him such an inclusive role in the department, according to CNN, which also says that Bates was a “frequent contributor” to the department and donated $2,500 to the re-election of its sheriff, Stanley Glanz. Scott Wood, Bates’ attorney, argues that the video footage proves that Bates accidentally shot Harris with his gun, since Bates sincerely believed that he was pulling out his Taser instead. Wood went on to try to discredit the idea that Bates is not an experienced law-enforcement officer and therefore should not have been involved in the sting operation. “Probably in the past four of five years since [Bates] has been working in conjunction with the task force he has been on, [there were] in excess of 100 operations or search warrants where he was placed on the outer perimeter,” Wood said. “He has never been on an arrest team or been the one who is primarily responsible for the capture or the arrest of a suspect. He is there more in a support mechanism,” Wood continued.